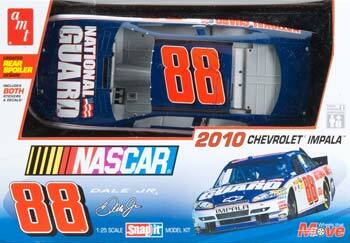 Introducing NASCAR's 2010 Dale Earnhardt Jr. Snap-It Kit! AMT is issuing the 2010 racers with the spoiler and body extension configuration that set the pace for the 2010 season. Don't miss them!